Housing Choices is a not-for-profit organisation committed to the provision of a wide range of accommodation solutions for the community who are on low incomes , have a disability, older people or are experiencing homelessness. Our success is built on our dedication to our residents and a strong customer service culture. 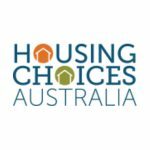 Housing Choices Australia (HCA) is a leading and growing housing association and now own or manage more than 5,050 homes across Victoria, Tasmania and South Australia and New South Wales. We have ambitious plans for greater impact including increasing our reach and helping more people find quality, affordable housing across the country. We are now seeking experienced and enthusiastic Housing Officer to join our Specialist Housing Group located in Melbourne CBD. In this role, you will be responsible for delivering professional housing management services to existing and prospective clients who have a disability in order to sustain successful tenancies, improve client outcomes and deliver outstanding customer service. We are looking for someone who has experience in the disability sector and wanting to expand their impact on the lives of people with a disability by delivering professional tenancy management services tailored to meet the needs of this resident cohort. This is an excellent opportunity to be part of a fun and rewarding environment where you will build on your previous experience in disability services and develop new skills in tenancy management. . You will receive tremendous employee benefits including salary packaging (up to $15,900 of salary tax free), extensive training and development opportunities, a great company culture and a day off for your birthday! For more information go to www.housingchoices.org.au. To view the position description please visit our career page at www.housingchoices.org.au. We are looking to fill this vacancy immediately and shortlisting will commence as soon as possible. A cover letter addressing selection criteria and current resume should be forwarded to Jobs@hcau.org.au. If you would like an informal discussion about the role, please contact Human Resources on 03 8636 9408. Housing Choices reserves the right to commence recruitment proceedings immediately. This opportunity is only open to candidates with appropriate legal working rights within Australia. Housing Choices recognises the benefits of a diverse workforce, we celebrate and respect our people’s differences and are committed to being inclusive. We strongly encourage Aboriginal Australians to apply. Do you have a current Police Check (National Police Certificate) for employment?